A few evenings later, another client shot a nice buck at the edge of a harvested bean field just before the end of legal shooting light. When I got there it was full dark, and he confessed he wasn’t sure just where he had hit the deer. We found a few drops of blood on the snow and followed tracks 200 yards into the timber, noting only a faint blood trail. From all of this, and the fact that the buck had only run a short distance before settling into a steady walk, I figured the shotgun slug had hit farther back than intended. Unless a client is positive of a good hit, or I can tell from the sign, I only trail a deer for a couple hundred yards in the dark. If we don’t recover it, we back off and wait for daylight. Pushing a wounded deer beyond that is a good way to lose the deer. A gut-shot deer will usually lie down and bleed out in the night. But jump that deer out of its bed, and there is a good chance it will cover much more ground before bedding down again. It may also leave little in the way of a blood trail that could head off in about any direction. The next morning, we followed this blood trail another 100 yards to the buck—or what was left of it. Coyotes had eaten most of the big deer, leaving only part of a shoulder and the neck. I had called up and shot two coyotes in the spring on each of these leases and another pair before deer season in the fall, but obviously that hadn’t been enough. A study done a few years back concluded that a local coyote population needs to be reduced by 70 percent for five consecutive years to make any real dent in the numbers. More than enough pups are whelped each spring to fill the area’s holding capacity. This may be good news for coyote callers, but it doesn’t bode well for those who like to hunt deer, small game and birds. An abundance of coyotes can have a decidedly detrimental impact on all of these, and hunting alone rarely reduces an area’s overall coyote population. We use food plots extensively on our Iowa whitetail leases, and the coyotes also hunt these plots. It would be easy for our human hunters to take out more of these interlopers, but few who pay for a shot at a trophy buck want to ruin their chances by blazing away at a coyote instead. Our bowhunters do manage to quietly tag a coyote or two each fall, but not nearly enough to make a difference. Last summer, my partner in the operation, Sheri Yarborough, caught the trapping bug, and I did all I could to encourage her. Sheri is a master taxidermist, experienced hunter and quick study when it comes to anything outdoors. Prior to trapping season, we cleaned, dyed, and waxed traps together, made snares and covered a lot of ground choosing set sites on trails and travelways outside of the core deer areas. I started teaching her the fine art of persuading a coyote to step on a trap pan or stick its nose in a snare hung on a trail. As soon as trapping season opened, she started stringing traps and snares. I figured she would do all right yet was amazed when she caught 21 coyotes on one of our better leases. She continued to trap while we were guiding clients, but under a very specific plan. We work hard to create deer sanctuaries with food, water and plenty of loafing and bedding areas. The absolute minimum human encroachment is the final piece to this puzzle. We don’t even allow our clients to walk around in the hunting areas. We transport them to and from stands by truck or four-wheeler. Iowa deer are habituated to and relatively tolerant of such vehicles. They see them year-round, and it just doesn’t spook them the way a hunter on foot might. It also leaves much less human scent in the woods. With all of the above in mind, Sheri and I carefully chose predator sets for the time we would be actively hunting the leases. She only set traps on the peripheries, places that could be checked from afar with binocs or a spotting scope. The sets were located where a trapped critter couldn’t be seen or winded from any likely deer travelway. When Sheri trapped a critter, she got it out with a minimum of disturbance. Her taxidermy experience working with hides, and her ability to handle a fleshing knife like a surgeon, helped her put up some of the best-handled furs the buyer had ever seen. When the locals found out about Sheri, they started bringing their critters to her. Even though she offered to show them how to do it, they seemed more than happy to pay her to do it for them. Back when I bought fur, most trappers brought well-handled hides while the shooters rarely did, if they bothered to skin the critters at all. I made a lot of money sewing up bullet holes and skinning critters for those who were either too lazy or too inept to do it themselves. When I was a conservation officer, I conducted fur handling seminars for the local predator hunters and always felt those were some of my best public relations endeavors. After the season, we let a couple of local hound hunters run coyotes on our leases, and on other leases, we let a local predator hunter call them through the winter. Again, it was good public relations and also got rid of a few more coyotes. This past hunting season was the first in a number of years when we didn’t have a single hunt ruined by coyotes. Sheri also managed to pay for all of the trapping gear she purchased and even put a sizeable check in the bank. You can bet we will continue to work at thinning the coyotes on our leases and also some neighboring properties where Sheri has been granted permission to trap. And at the end of the deer and trapping seasons, we’ll once again let local hound hunters and predator callers have a go at the coyotes that survive our efforts. Even though the fur market nose-dived last spring, coyotes, cats and to a lesser extent red fox remain in demand and are still bringing decent prices. With coyote populations especially thriving, I believe the stage is set for an outdoors alliance. 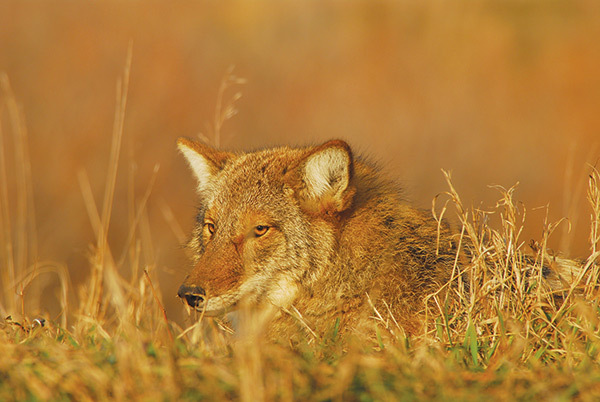 Trappers and deer hunters may both benefit by working together to control local coyote populations. It needs to be done with some common sense—the last thing a hunter wants to see is a trapper checking sets at sunup near his stand—but most fur trappers are more than willing to work with a landowner for permission to harvest sellable fur, and agreeing on some ground rules shouldn’t be that hard.